Did your newest little miracle leave you with diastasis recti? Are you unsure if you even have this condition? No worries, you’re not alone. Many of moms never even heard of diastasis recti until they were pregnant. But if you are aware of it – and you’re wondering if anything can be done to aid diastasis recti recovery – the answer is yes. Diastasis recti occurs when your abdominal wall (specifically the linea alba) begins to separate due to your growing baby bump. This ab separation is actually common during pregnancies but some women may experience more severe separation in their abdominal wall. This severe ab separation leaves the core weaker and can actually cause discomfort. Note: This article and all included information is not intended as medical advice and does not treat or diagnose. Please consult your doctor for any health-related questions or concerns. Also, please find general practices and exercises that you may want to avoid if you have diastasis recti. These are subtle movements to strengthen the deep core muscles in your body. The simple contraction of your core and drawing the belly inward is a perfect gentle start to strengthening your core and start the journey to diastasis recti recovery. As mentioned above, your regular Plank Pose should be avoided when in diastasis recti recovery. Plank Pose is a great pose to not only strengthen the core, but the entire body, including your back. Luckily, we can modify Plank Pose by taking it to the wall and keeping it upright. Squats not only strengthen your legs and your glutes, but your core as well. Keeping your awareness on your core during your squat repetitions can be difficult at first, especially during diastasis recti recovery. Taking your squats to the wall is another great modification to slowly build awareness and strength. If you are yearning to do more “traditional” core work, then please be sure to take supine (on your back) variations to refrain from causing more damage to your diastasis recti. An important tip to remember is to never make the movement resemble a crunch or sit-up, so keep your shoulders and head on the ground. If you feel more connected to activating your lower abdominals in the supine toe taps, then you can add a little bit more intensity with supine alternate leg raises. This movement invites the same awareness and activation of the core to strengthen your deep core muscles, but with a little more intensity. Please skip this exercise if you do not feel ready yet. Bridge Pose is a great pose to add to your road to diastasis recti recovery because it not only strengthens your core, but your back as well. When we add the controlled hip pulses to Bridge Pose we can slowly build more strength in the core. One of my favorite ways to strengthen the core without doing a single sit up is core spiraling. I practice this technique during Buti Yoga and find it super effective in strengthening your transverse abdominals, which wrap around your entire midsection. Strengthening these deep core muscles will help you recover from ab separation and aid diastasis recti recovery. Pelvic tilts are a safe and easy way to engage your deep core muscles and strengthen your back. Plus, they can be done any time you are seated. It is important to practice pelvic tilts slowly to give yourself the opportunity to also focus on strengthening your pelvic floor as well. Proper nutrition and self-care plays an important role in helping you strengthen your abdominal wall. 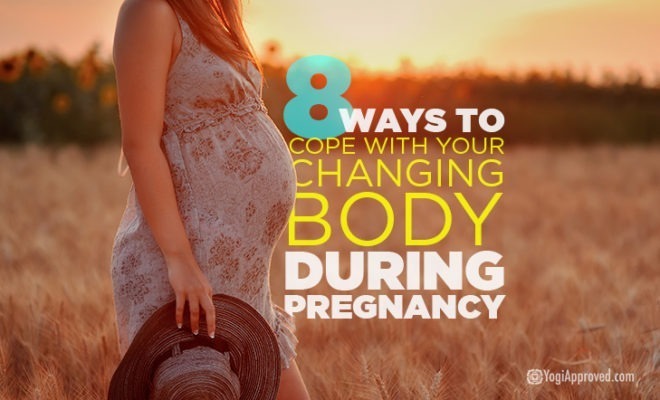 Your body needs the proper nutrients to help stimulate new growth in your connective tissue and help to speed up your diastasis recti recovery. Staying hydrated, reducing toxins in your body, maintaining healthy inflammation, and watching your sugar intake will all help your connective tissue become stronger faster. Need inspiration how to eat healthy and honor your body? Read this: 6 Ways to Eat Healthy and Honor Your Body with Yogic Principles. Another important part of your nutrition is your collagen intake. Collagen helps heal the elasticity of your connective tissues that were stretched during pregnancy. Focus on foods that are high in Vitamin C, Zinc and Vitamin E. Stay away from processed food, caffeine, and alcohol since they can slow the healing process. Providing your body with the right tools to heal itself internally can be the key to your recovery. Not only is focusing on proper nutrition important to aid diastasis recti recovery, but focusing on mindfulness can make a huge difference too. Stress plays a large part in many of our illnesses – so stress is no friend to our body when we are trying to heal. Practicing meditation or pranayama can really help calm your mind, relieve stress and allow your body to rest and restore. Want to learn how to cultivate mindfulness? Read this: Guided Pranayama and Mindfulness Meditation for a Calm and Peaceful Mind to help you jumpstart your stress-free mind. If your pregnancy left you with diastasis recti it may be a longer road to that pre-baby body then you had originally planned. But keeping a positive mindset and knowing that you have the ability to help your body recover is important. Stay mindful of your movements and be sure to practice these exercises slowly and with control. You can also use this time in your life to build a deeper connection to your mind and body. Michelle is a mama to fur and non-fur babies, a yoga and Buti Yoga instructor and Partnerships Manager here at YogiApproved.com. She is forever grateful for her yoga practice and is honored to be able to share the practice with others. You can usually catch her seeking sunshine, chocolate, and a good laugh-session with her OMies. Connect with her on IG @arifishmama. Nothing could have prepared you for the exhaustion and stress of a new baby. These postnatal yoga practices and tips can help you manage life as a new mom.